There is a new wall bed in town. And seeing as just another wall bed would be a little boring, this one has secret storage! Ta Da! Secret bed, secret storage, now what could be better than that. Of course we have one at our showroom, and there will also be one at Grand Design Live in a couple of weeks. However if you just can’t wait, like we couldn’t, do not worry we have a video! So how cool is that?!? We are still giddy and jumping up and down with excitement. We just love storage and so this new product just makes us smile from ear to ear. 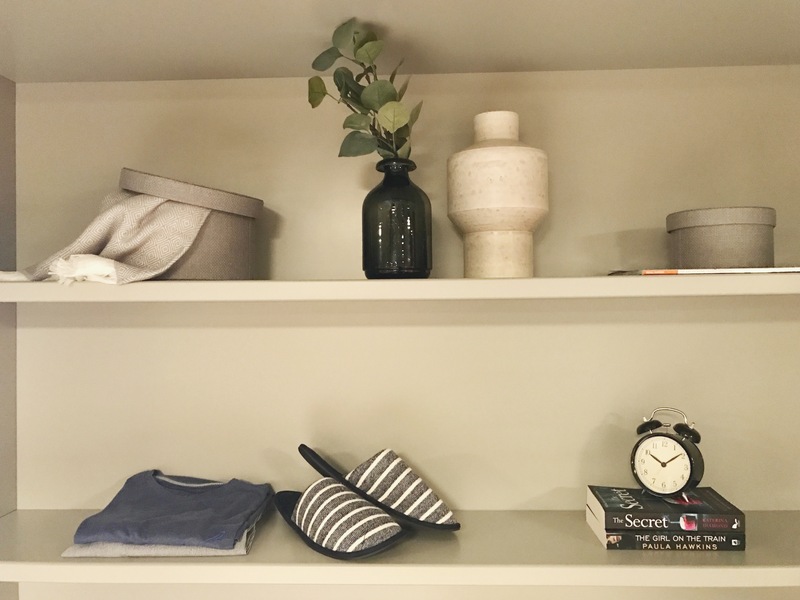 The brand new wall bed that we have in our showroom has two shelves, perfect for your pjs, slippers and latest book. There is then a lovely lot of storage that is hidden at the bottom for your duvet, blanket and pillows. Or anything else for that matter. The depth of the unit is a little larger than our current wall bed. Rather than 35cm deep, this one is 60cm. A touch deeper, but it would fit perfectly in between existing wardrobes as they always have a depth of 60cm. Despite the extra internal shelving, you can still have the same depth of mattress as our other wall bed model. Ideally your mattress wants to be no more than 22cm (which is really deep by the way). 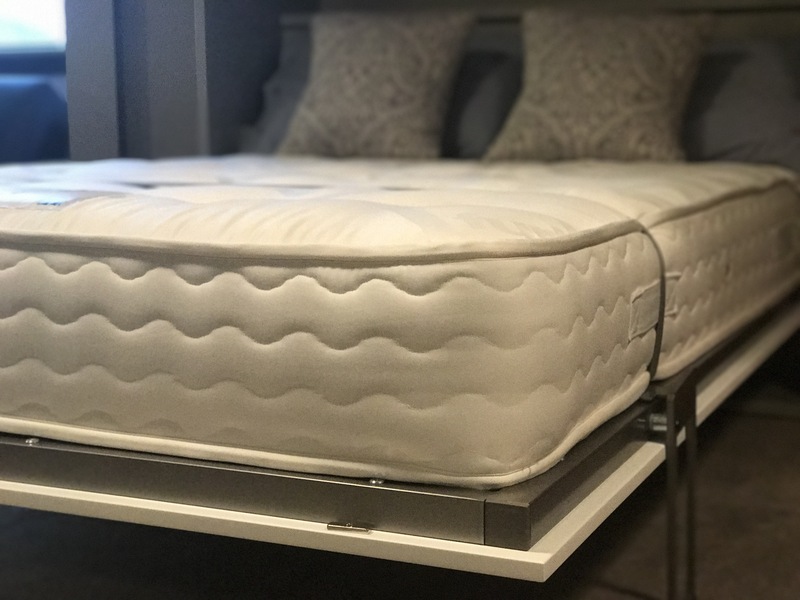 We have four mattresses that fit snuggly into our wall beds to choose from, but you can use one you already have if you prefer. Just make sure it doesn’t exceed the maximum 22cm depth. Some mattress companies measure their mattresses a little oddly. So be sure to check it yourself with a tape measure or ask for the dimension from top to bottom. 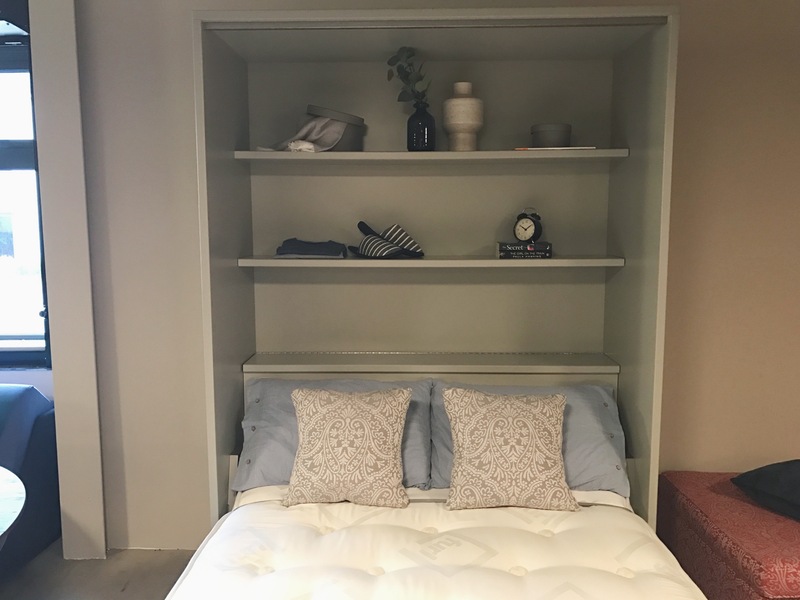 So, if you are as excited as we are about this brand new wall bed, then book an appointment to visit us and we can show you how it works. It is like nothing we have ever seen before and we really cannot wait for you to see it too. Or if you have already visited the showroom and seen it, and thought AMAZING, then you can now order it here. Previous Previous post: Sofa Bed experts are here to help you!